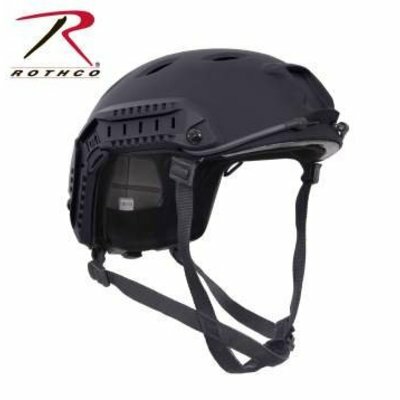 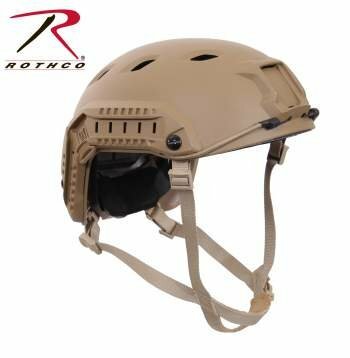 Rothco’s Advanced Tactical Adjustable Airsoft Helmet is a lighter, more advanced version of Rothco's Base Jump Helmet. The Advanced Adjustable Airsoft Helmet is made of lightweight ABS plastic with 8 diamond shaped vent holes to keep the head cool; 5 removable/ adjustable EVA foam cushion interest with loop attachments, integrated military style head-lock chinstrap with side release buckle, rear dial helmet adjustment, 2 multi-position accessory side rails (side rails that fit Rothco's Base Jump Helmet Accessory Pack – item #1895), NVG front mount ideal for optics, dual bungee design allows for stability of night vision optics, 2 sided and 1 rear loop patch attachments, and 3 extra EVA foam cushion inserts. Rothco’s Advanced Tactical Adjustable Airsoft helmet is great for airsoft, paintball, and tactical (non-ballistic) training exercises.